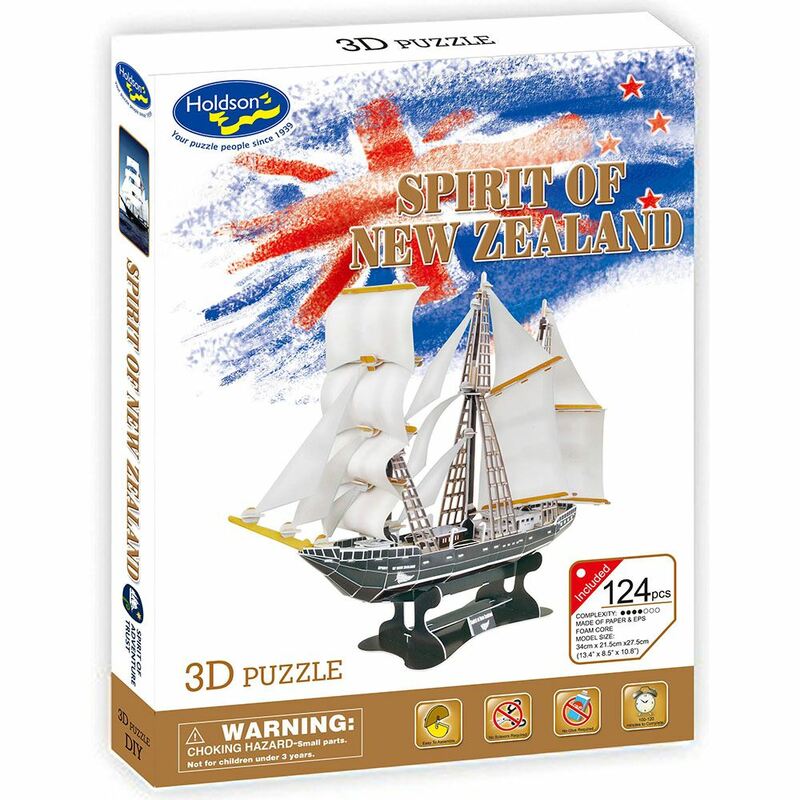 The Spirit of New Zealand was purpost built by the Spirit of Adventure Trust in 1986 for youth development. It is 42.5m in total length and carries a maximum of 40 trainees and 13 crew on overnight voyages. The ship's home port in Auckland, and it spends most of its time sailing around the Hauraki Gulf. During the summer season, it often sails to the Marlborough Sounds and Nelson at the top of the South Island. Since the retirement of the Spirit Of Adventure in 1997, The Spirit Of New Zealand has undertaken an annual programme of around 340 days at sea. She is believed to be probably the world’s busiest youth ship, making her an important part of New Zealand iconic history known throughout the world. Subject to stringent, on-going maintenance surveys, refits and audits, The Spirit of New Zealand is expected to be able to continue operating youth voyages until around 2035. This 3D Puzzle is made of paper and expandable polystyrene foam board, it is easy to assemble without the use of any other tools or glue. No of Pieces: 124 Model Size: 34cm x 21.5cm x 27.5cm. Age: 8+ years.